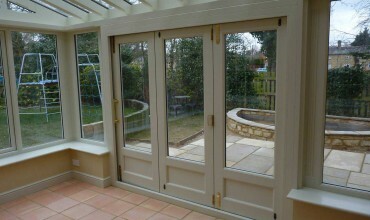 Internal Folding Sliding Doors & External Doors at trade prices. Our range is fully customisable allowing for multiple stacking configurations & more than 4 door leafs per stacking door set. Perfect for various internal and external applications including rear property access, extensions and even for use between internal rooms / living spaces. 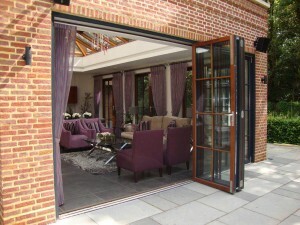 Our internal folding sliding doors are available in timber and aluminium. Folding sliding doors – also referred to a bifolding sliding doors – are a great addition to any property, especially those with limited space. Why? 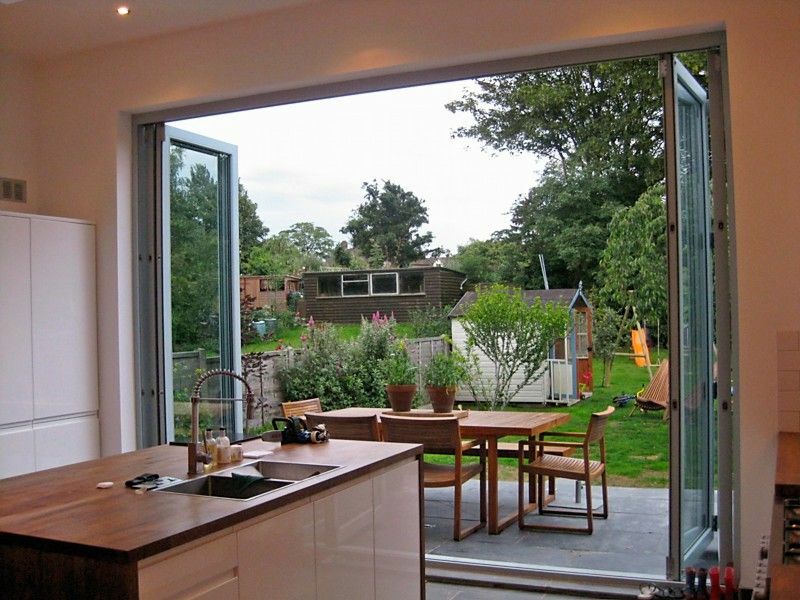 Because they’re naturally space saving! 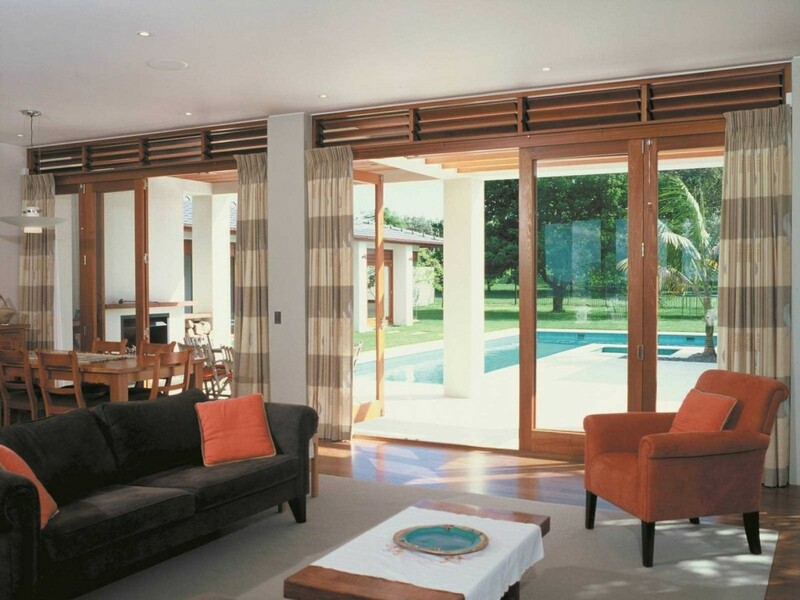 The door system stacks up on itself when opening and closing, leaving the doors flush against the wall. 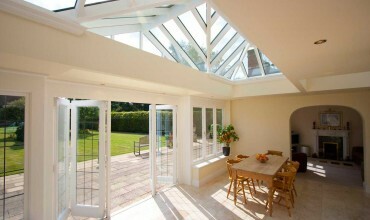 This, of course, saves space! The folding sliding doors most often stack to one side of a mounting point but can be stacked into a cavity wall, effectively saving you even more space. At Bifold Doors UK, we create a wide range of high quality bifold doors in both standard and bespoke sizes. 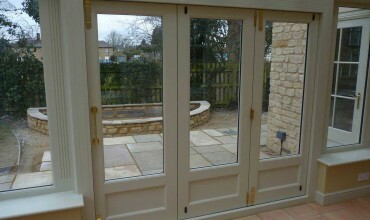 They can be used for both internal and external doors. 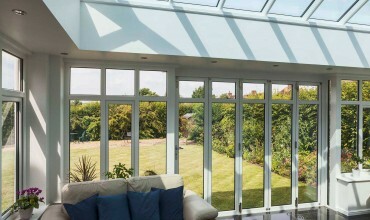 For example, they can be installed as sliding patio doors that open up from your garden into your home. 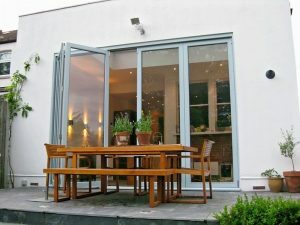 Bifold Doors UK can also make external bifold doors and internal bifold doors that are up to 3 meters in height and 1 meter wide (3000 mm x 1000mm). 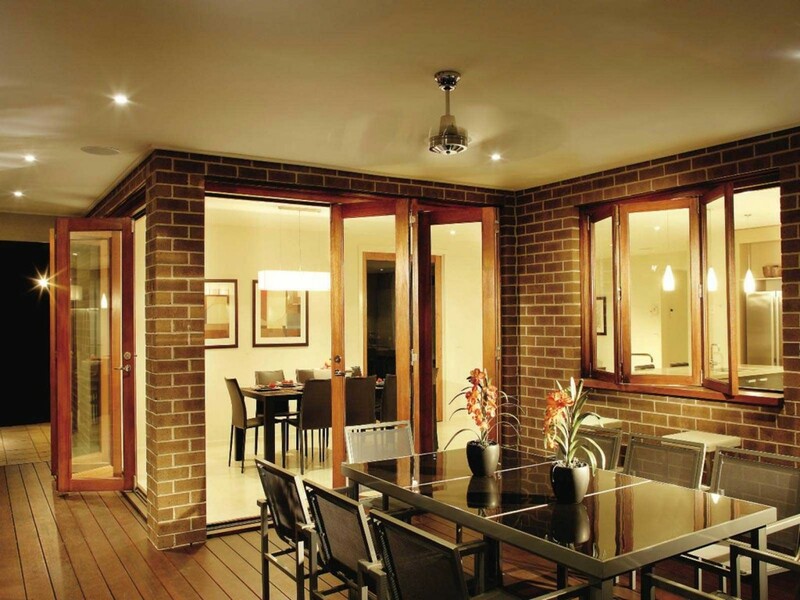 If you opt for a door system with multiple door leafs, we can provide doors 3 meters in height and up to 12 meters wide (3000 mm x 12000 mm). 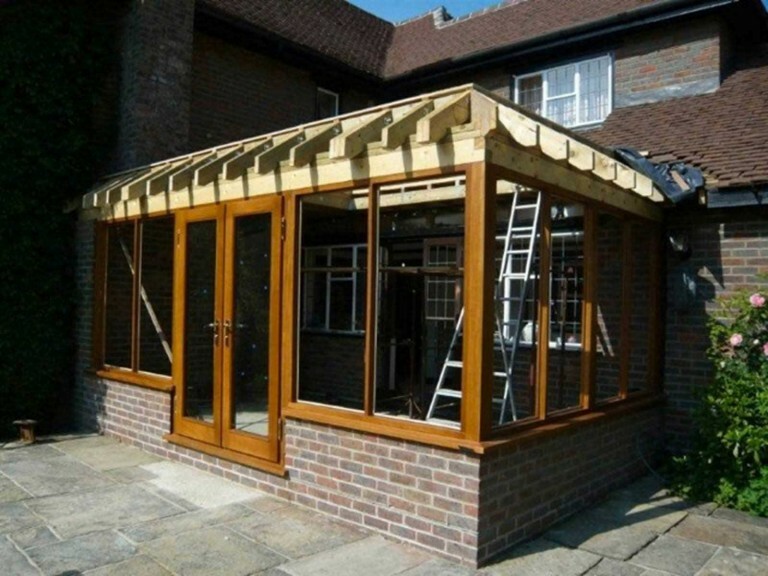 All of our products are manufactured in the UK at our joinery from FSC sustainable hardwoods and softwoods. 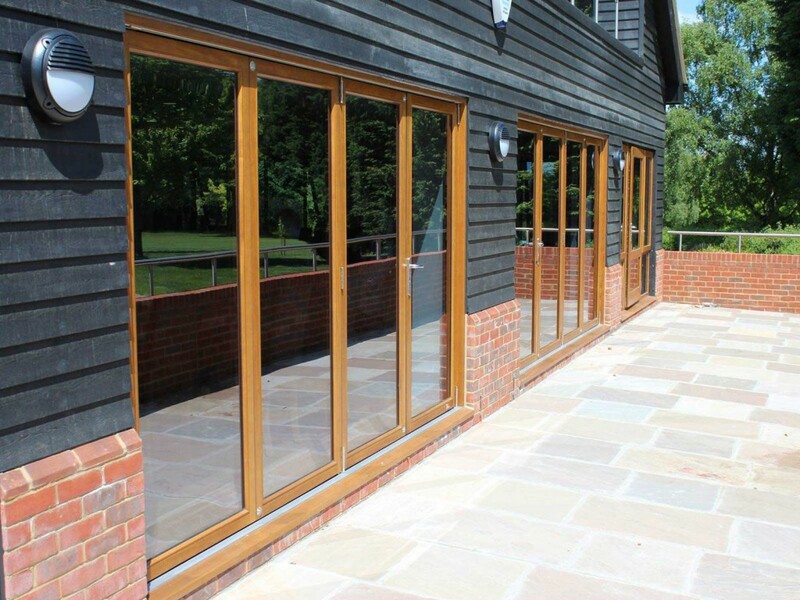 Our folding sliding doors can be supplied in a wide range of stains, colours and materials. 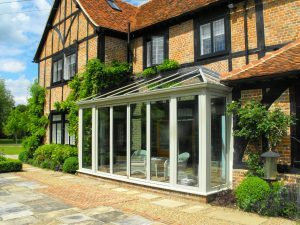 We’re happy to work with you to create a fully customised product that compliments the character of your property. 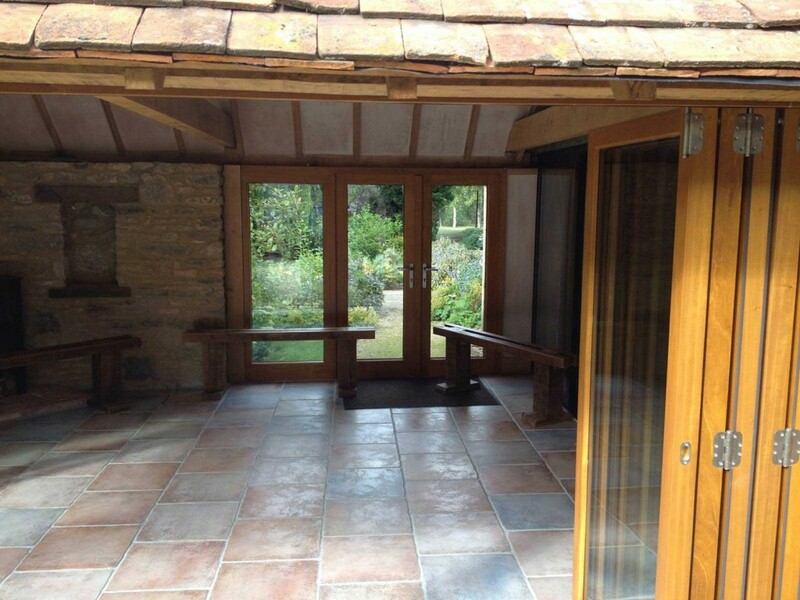 As a general rule, pine style timbers tend to be lighter in appearance and are recommended for cottages, heritage properties, country manors and estates. 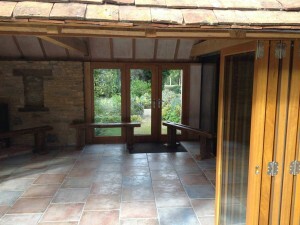 Oak woods are generally darker and are used more often in modern properties. 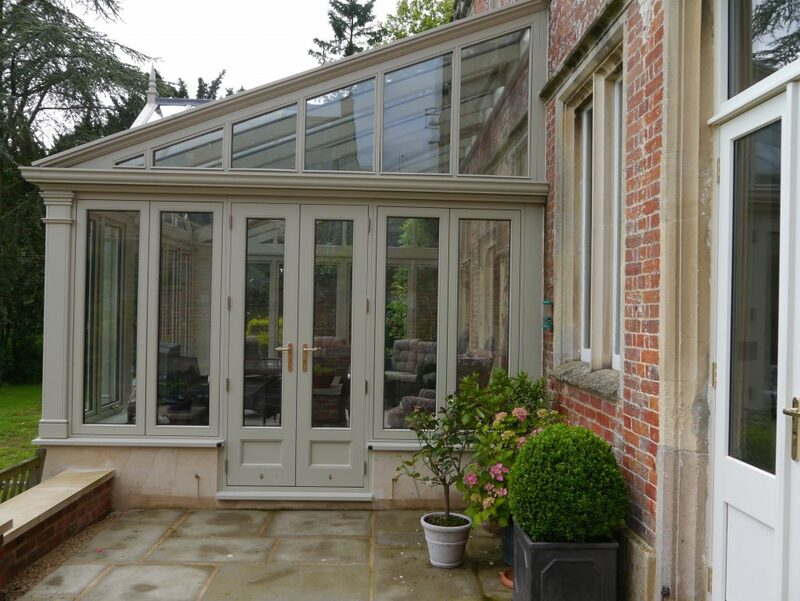 That said, the traditional appearance of oak is also suitable for older properties. 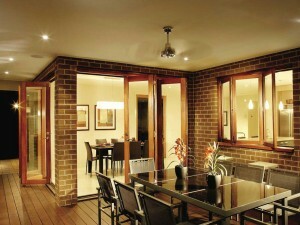 Ultimately, the type of wood you choose is up to you and we’re happy to help you make the right decision. 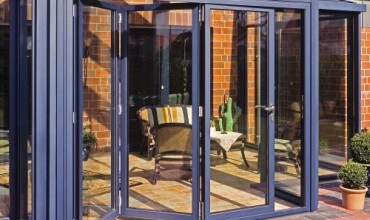 We also have a wide range of aluminum bifold doors. 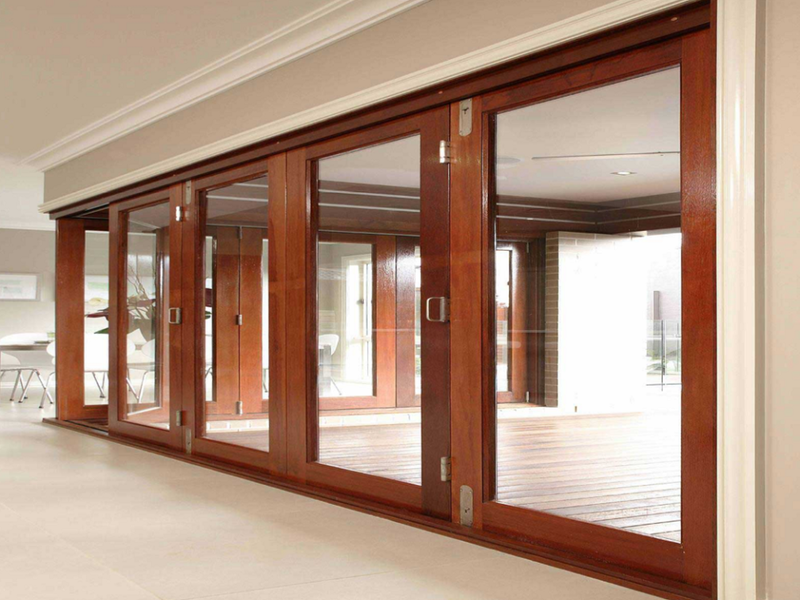 In terms of staines, we offer Oak, Sapele and Idigbo stains for doors. 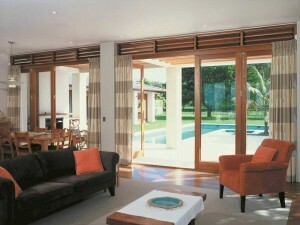 All three feature different shades and patterns. 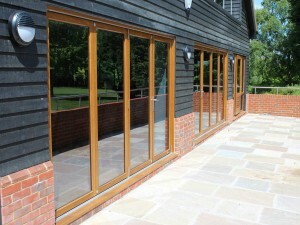 To see our gallery which features both internal oak, hardwood and timber bifold doors, click here. 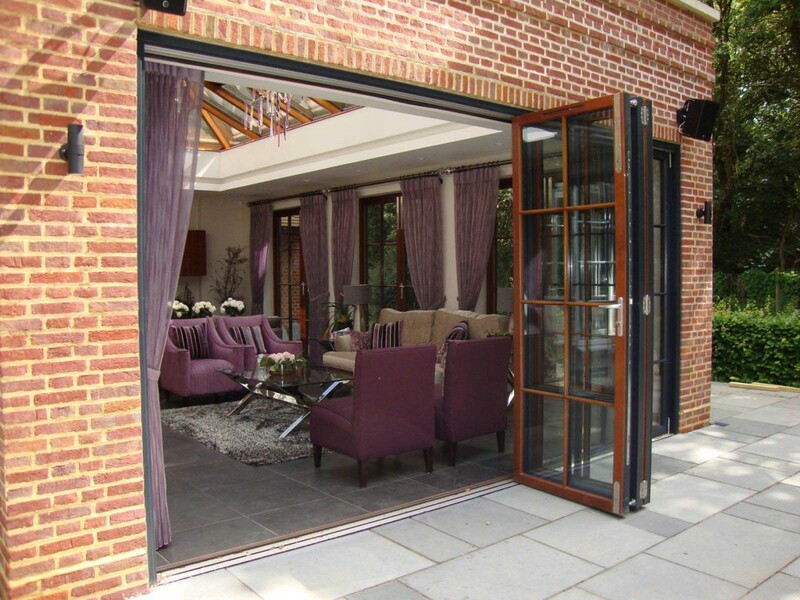 Whether you’re looking for internal folding sliding doors or external folding sliding doors, we can supply and install your door system with precision. 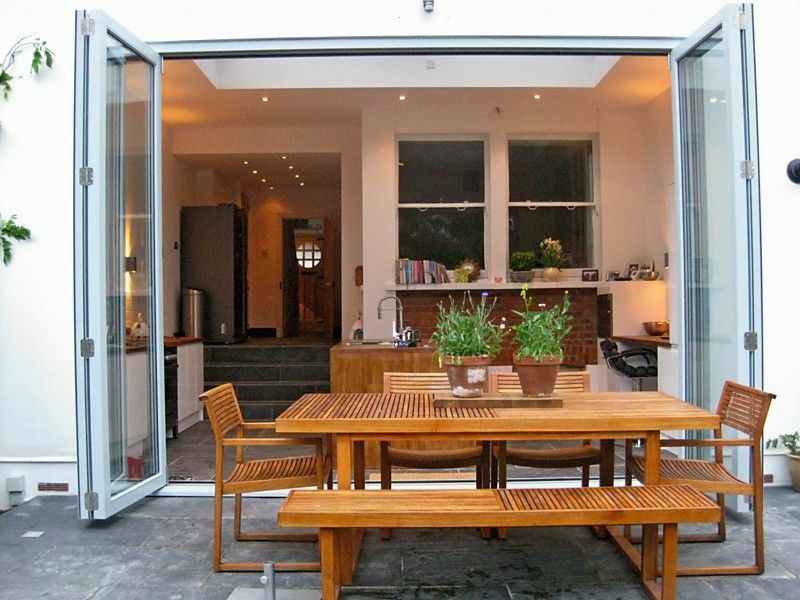 For both small and large properties, these stackable doors will open up your space and give you and your guests more room to work, play or mingle. For more information on folding sliding doors from Windows Doors UK, including information on lead times, call us on 0843 886 8378. 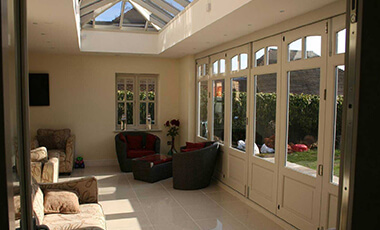 You can also get a free quote by filling out the form here.